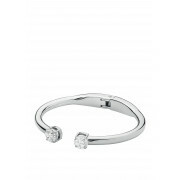 This open bangle with hinged closure by Dyrberg Kern features two eye-catching cubic zirconia stones which will add a touch of elegance to any outfit. 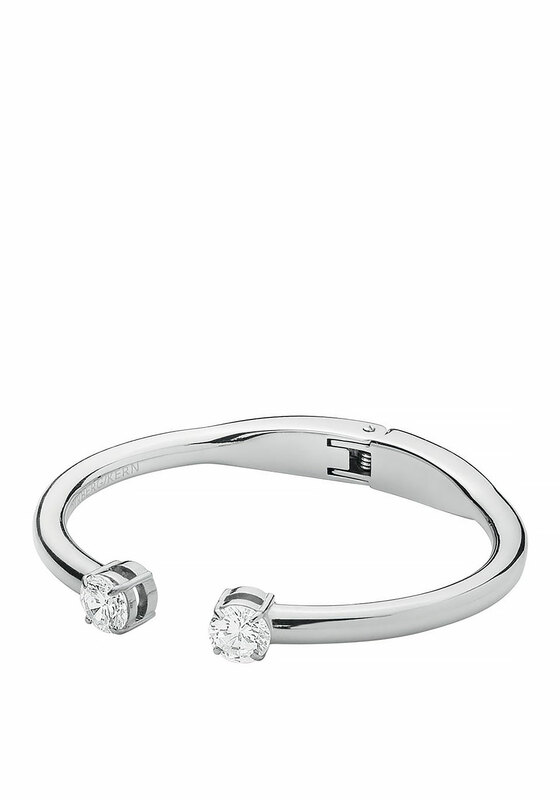 This open bangle with hinged closure by Dyrberg Kern features two eye-catching cubic zirconia stones which will add a touch of elegance to any outfit. 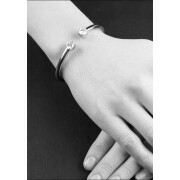 With a silver tone plated finish, this bangle is anti-allergenic, lead- and nickel free.